*Don't worry if you're not able to visit us. - Our 'Money Back Promise' means you can purchase any vehicle from us with complete confidence. 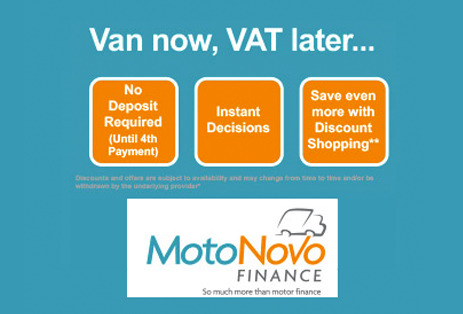 A £250 deposit will ensure that the vehicle is reserved. If the vehicle is not as described upon collection or delivery you are entitled to a full refund. One of our sales team will be happy to provide a phone based tour of any vehicle to accompany the photo gallery and description. This means you can ask any question while we walk round the van, and we will provide an honest and frank response. Our aim is for our customers to be 100% happy with their purchase, this service allows you to reserve or make a purchase over the phone without physically viewing the vehicle. As a business that has been trading for over 25 years, we are built on trust and satisfied repeat customers. At our indoor showroom for your viewing pleasure, open 7 days a week. 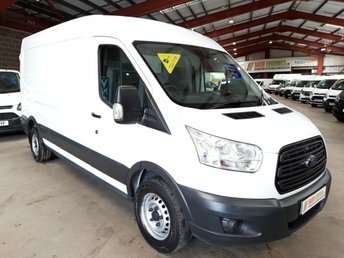 Great service, decent guys ,minor mishap but dealt with straight away very efficient..quality vans on show.. many thanks Nigel..
We love our new van from David Eddowes and the service we received was exceptional,The van was exactly as described & they did everything that they said they would do. The guys were really helpful & not at all pushy, Thank you very much, we would really recommend David Eddowes to anyone. Very friendly and efficient, a perfect transaction and very pleased with my purchase. 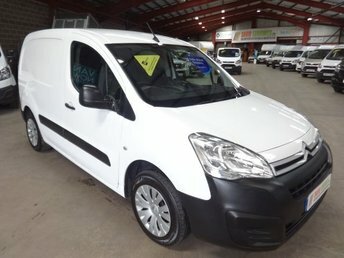 Bought a Renault Master on 17th September 2018. A bit of a delay on collection as they were making absolutely sure that the vehicle was spot on for me. Developed a couple of minor issues on way back home, They were very helpful, and the issues were sorted. Over a month and 9,800 miles later - absolutely no problems. We were so impressed that we bought another one from them this month. Lots of good quality vans to see, helpful and knowledgeable staff, Very satisfied with the van we bought. Thank You. Got in touch straight away but had already bought one. 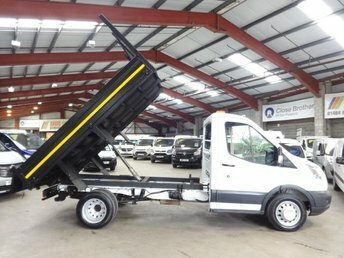 5 ***** -Had a lot of vans over the years and the customer service and help I received were second to none, I would and will be recommending them. 5 out of 5 stars - Contacted me straight away - although I couldn't speak at the time they followed up and we made arrangements to view the van. î ¸î ¸î ¸î ¸î ¸More than happy with this company. 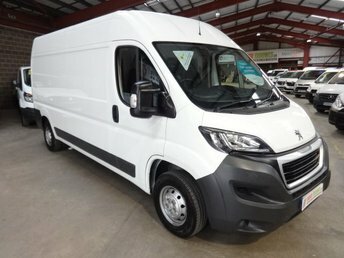 As a female customer, it was pleasing for me to have a conversation with the sales man and subsequently the guy who took me for a test drive, rather than the conversation being directed to my husband....this is my fifth van, yet this is the first time I have experienced this! 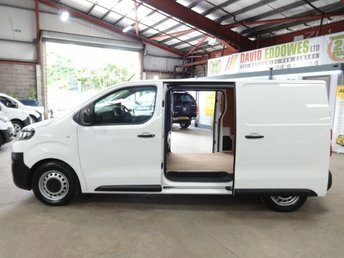 The van I test drove was exactly what I was looking for and whilst I know that there are other companies selling similar vehicles; the team at David Eddowes went over and above my expectations of customer care and service by delivering the van to me. 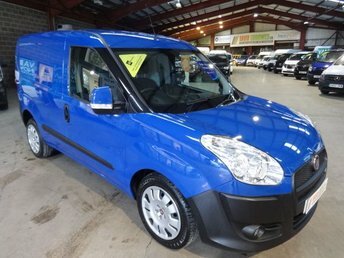 Great buying experience, excellent value van, salesmen polite and helpful, would recommend to anyone! Hi Paul Thank you for your kind words & nice review ,All the team here at David Eddowes ltd really appreciate the feedback & thank you very much for your business. Status:Published Went to buy a van from David Eddowes, the staff were extremely helpful and welcoming. Purchased the van on a Sunday, needing it as soon as possible due to the death of previous van, the staff went out of their way to ensure that we were able to pick it up first thing Monday morning. Would definitely recommend them. Status:Published Great selection of vehicles to suit all budgets.Non pestering or pressurising staff. We was left alone to look (at our request) and then staff were happy to help and answer questions when we was ready. Arranging finance couldn't have been easier, with a decision in 60 seconds. Good clean and well presented showroom. Everything was ready on time when we collected and enough fuel had been put in to get us home with some left over. Would definitely go back and use again if I was looking for another vehicle. 5 ***** STAR REVIEW GOOGLE All vehicles are under cover,all open for inspection and well presented.The sales person lets you look at vehicles in your own time and when asked him for assistance he is knowledgeable and also gets the specific vehicle details quickly.But my best description of the company is "fair".a fair company to buy from and that means a lot in the the used vehicle trade. Just a brief thank you for delivering the van to us, sorry your guy had to walk to the station, unfortunately I was out when he came as I would have run him up. 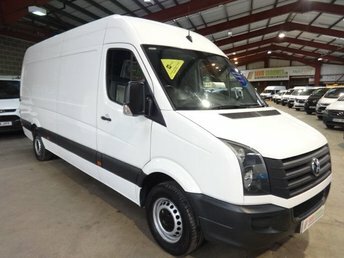 Just bought Sprinter van, I could tell straight away that I was buying from a genuine family business, Nigel made a walk round video of the van, this was good enough to prevent me having to drive for 3 hours to go and look. I made the purchase and they delivered the van for an acceptable price, excellent service, and I am more than pleased, it is just as described and drives perfectly. 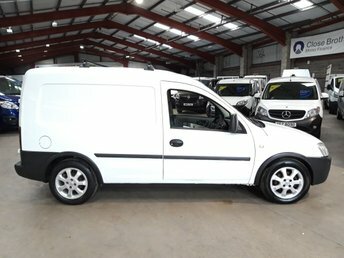 I would buy from them again, a Trustworthy company.Very pleased with the van, it looks really tidy and drives perfectly. I am impressed with your company and you can be proud of the way you operate. Will recommend to others when I can. In case you are worried the van is definitely in my possession and you have sent it to the right place! My initial impression on arrival was that the premises and the vans were very well presented which, although you might expect this as a given, it's not always the case. So that gives you confidence. I was welcomed by Nigel on arrival, offered a coffee and was directed to the van I was particularly interested in. 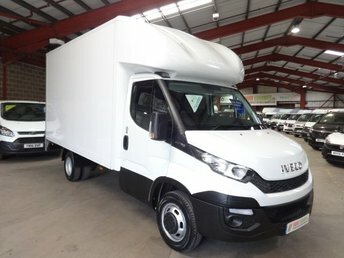 I had all my questions answered and was given the time I needed to check everything I wanted to with the van itself, (including a test drive obviously), as well as checking all the paperwork was in order. I didn't feel rushed or pressured in any way. Once I decided I wanted to go ahead and buy the van, the formalities for completing the purchase and paperwork were also straightforward. 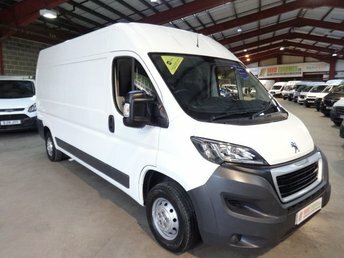 I hadn't been to this dealer before, so had no expectations, but from this experience I wouldn't have any problems at all buying another van from them. They made the buying process as painless as it's possible to be, which is exactly what I wanted. Hi Gary Thank you for your kind words & good review ,All the team here at David Eddowes ltd really appreciate the feedback & thank you very much for your business. Bought a Vauxhall Combo van from David Eddowes Ltd and cannot praise them highly enough. Great service, very pleasant staff, would certainly go back for another van in the future. Hi Elisabeth Thank you for your kind words & good review ,All the team here at David Eddowes ltd really appreciate the feedback & thank you very much for your business.